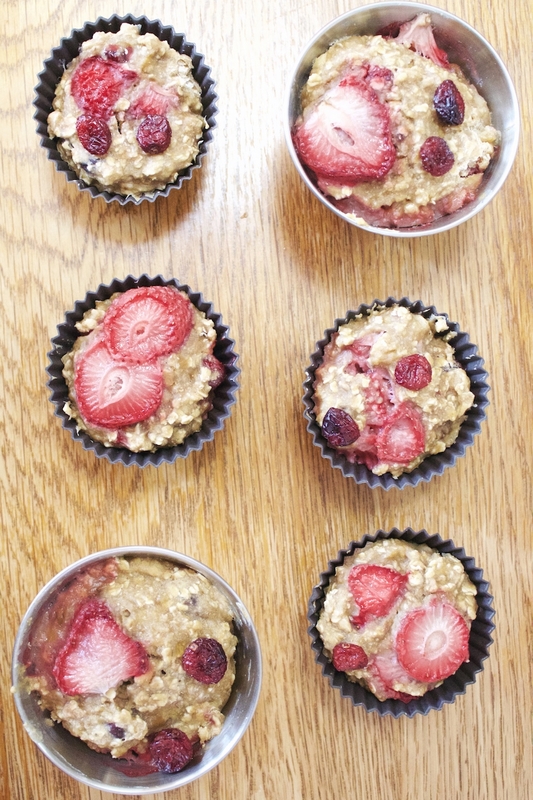 SKINNY STRAWBERRY AND BANANA OAT MUFFINS | RAWR BOWS. Hello! Today I have another recipe for you. I have a very sweet tooth - and by that I mean I could perfectly live off desserts- so obviously I decided to make myself some muffins. 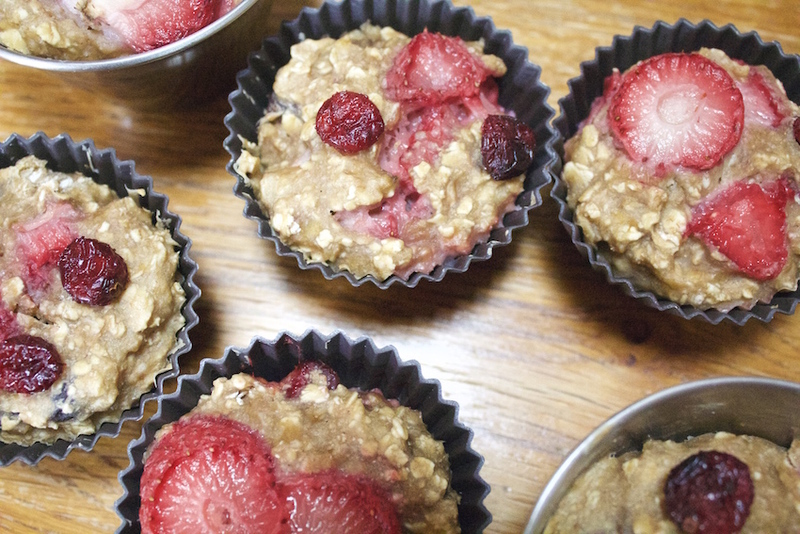 Now, these are better than regular muffins because these are healthy muffins. Can it get any better? Yes it can! To make these you don't need any fancy ingredient because there's nothing I hate more than a super yummy and healthy recipe that requires you to have the weirdest ingredients on earth; because, let's be honest, chances are you'll never use these again so it's a waste of money and food. I got the original recipe from one of my favourite food blogs, Ambitious Kitchen. However, as you will be able to see now, I added my own tweaks to the muffins. ONE. Preheat oven to 250 degrees celsius. TWO. In a mixing bowl, mix the flour, oats, baking powder, and salt. Save a few tablespoons of that mixture for later. THREE. In another large bowl, mix the bananas, honey, olive oil and vanilla. Then add the egg and the egg white. Beat everything until it is well combined. FOUR. Add in greek yoghurt and almond milk. Again, mix everything until it's well combined and it has a smooth consistency. FIVE. Mix the banana mixture with the flour mixture and combine until it's moist. Make sure you don't over mix. SIX. Take the bit of the flour mixture that you saved earlier and mix it with the diced strawberries and cranberries. Then add this to the rest of the batter. SEVEN. Fill in your muffin tins with the batter and, if desired, place a sliced strawberry on top of each muffin and a few cranberries. EIGHT. Bake it in the oven for about 20min at 180 degrees celsius. NINE. 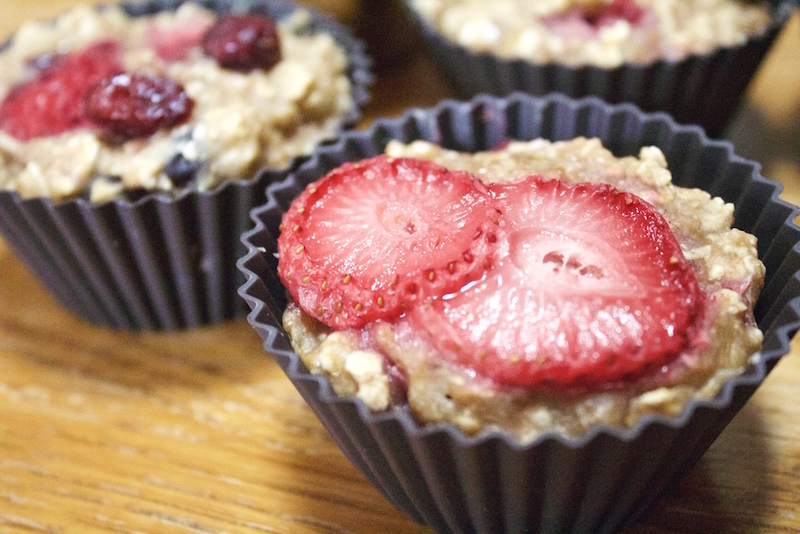 Stop whatever you're doing and go enjoy your healthy and delicious muffins! !